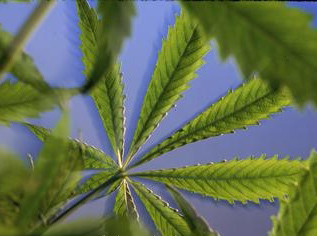 During the marijuana detox process the person's body goes though marijuana withdrawal. Detox is the first step of addiction recovery. Once the recovering individual has completed marijuana detox their body is clear of drug residuals and toxins and they are better able focus on the next step of addiction recovery, drug rehabilitation. Marijuana abuse and addiction are very detrimental to a person's physical, mental and emotional health. Marijuana detox programs understand this and their detox and rehabilitation programs take into consideration all aspects of a person's well being. Marijuana detox can help those who have a lifetime of usage as well as those who have only been using heavily for the last few months. The important thing is the person in need recognizes their problem. Once they are able to acknowledge that they are no longer willing to go on as they have been, isolating from friends and family, missing out on important occasions and events recovery can be achieved. There are many important reasons to stop ones marijuana abuse. Perhaps difficulties are becoming unbearable at work or you or your loved one has lost a job due to marijuana dependency. Also, an increase in learning difficulties and memory problems due to repeated marijuana use many times results in students dropping out of school and abandoning goals. The feeling of being high on marijuana is something many recovering persons will strongly crave while in marijuana detox, as well as the smell of marijuana. These cravings are not uncommon during marijuana withdrawal and they can sometimes become overwhelming. This is why so many people find themselves right back in the same position, smoking more, even after they have made a commitment to quit. Some may even go a few days without it before they are unable to resist their cravings anymore and start back. Marijuana detox is vital because the recovering addict's physical and emotional withdrawal symptoms must be addressed. When an user puts marijuana into their body, a chemical reaction takes place within their bloodstream. The addiction to the drug is mild at first but, over time, with constant use the body believes that it cannot function without the use of marijuana. For this reason, the chemical products and byproducts that marijuana abuse has produced in the body must be gently removed through a very careful detox process. By having the detox take place in a very controlled environment the recovering person feels safer and less threatened. Marijuana detox specialists have been trained to place care and comfort at the forefront of the detox process. As mentioned earlier, marijuana detox is but the first stage of the recovery process. The goal of marijuana detox and the following rehabilitation is to continue life drug free. To ensure a complete marijuana addiction recovery, one should attend a rehab program once detox is complete. There are many types of drug rehabs available for marijuana addiction. Please contact us today and we can help you locate a marijuana detox facility and rehab center that will meet your specific needs.